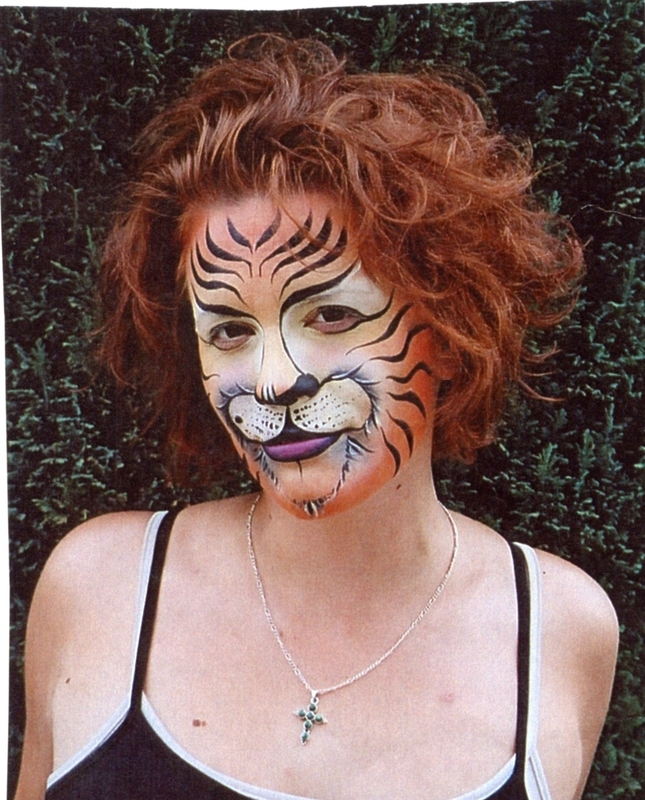 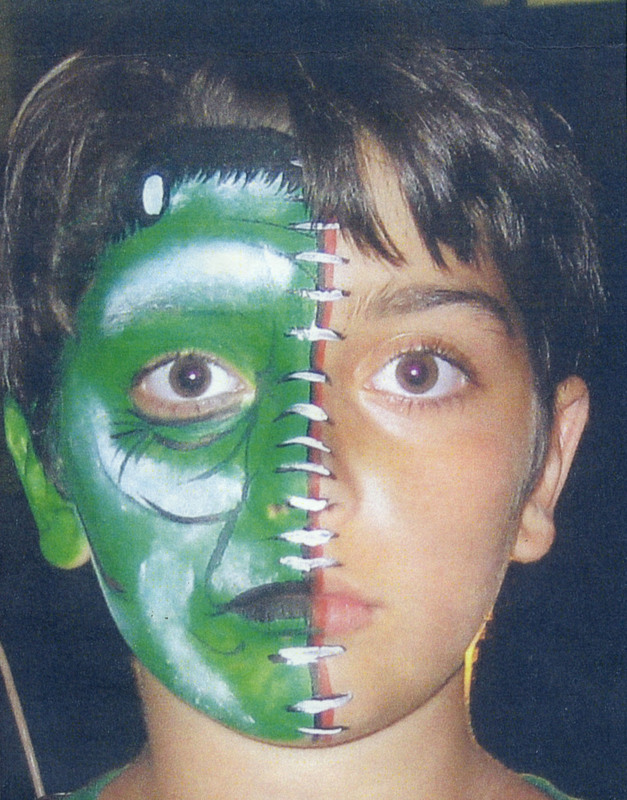 Professional face art is dazzling and eye-catching. 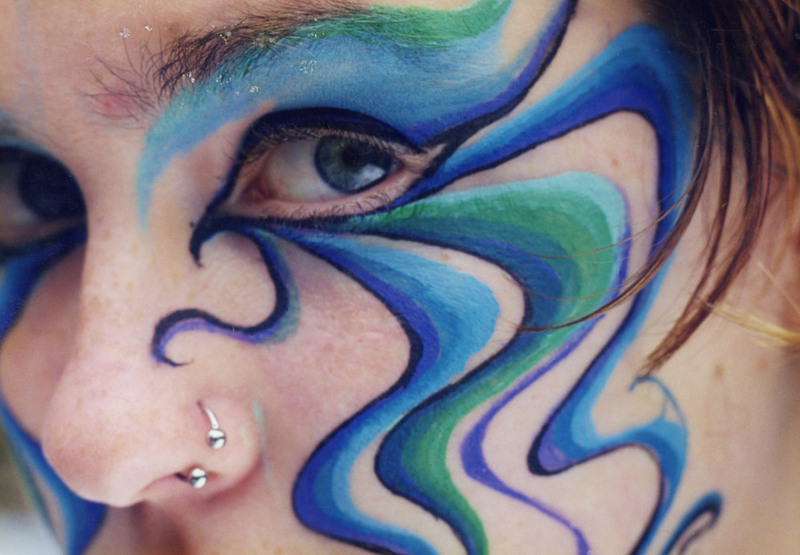 Professional face art is dazzling and eye-catching. 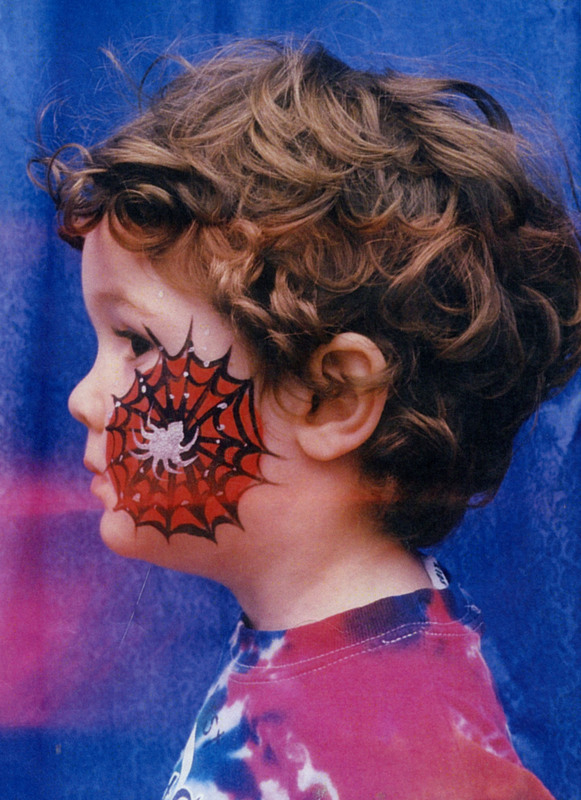 All our face paints are non-toxic, water-soluble, long-lasting in color, and wash off easily with soap and water. 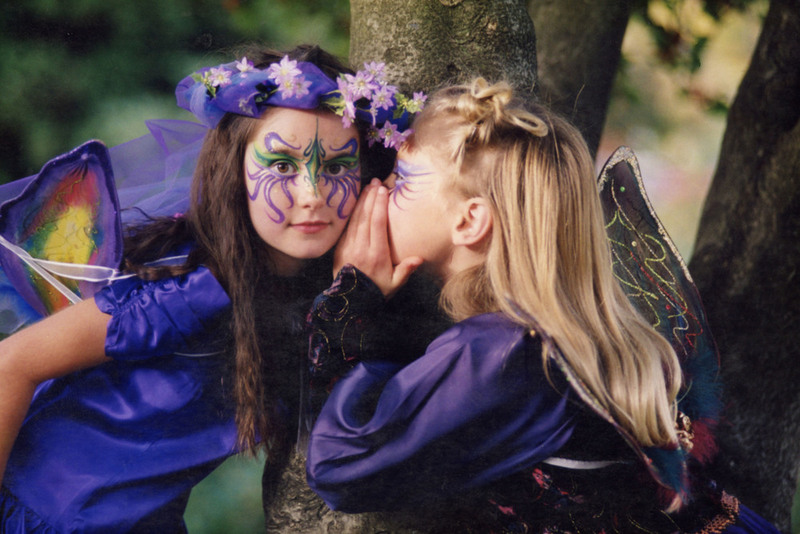 They are ideal for children's events like birthday parties and staff family picnics; but also for adult events such as Halloween parties, masquerades, theme nights, fashion parades, and stage productions. 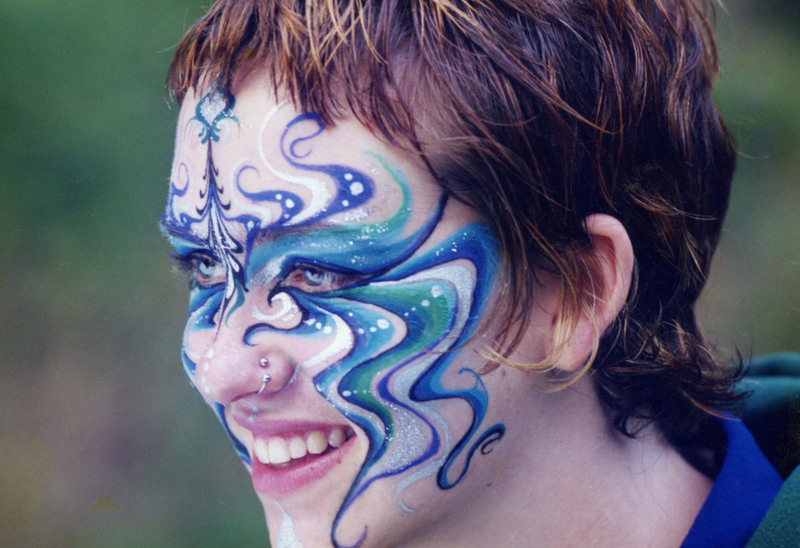 A simple face design can also impressively delineate all staff working at a corporate event, so your guests know who to approach. 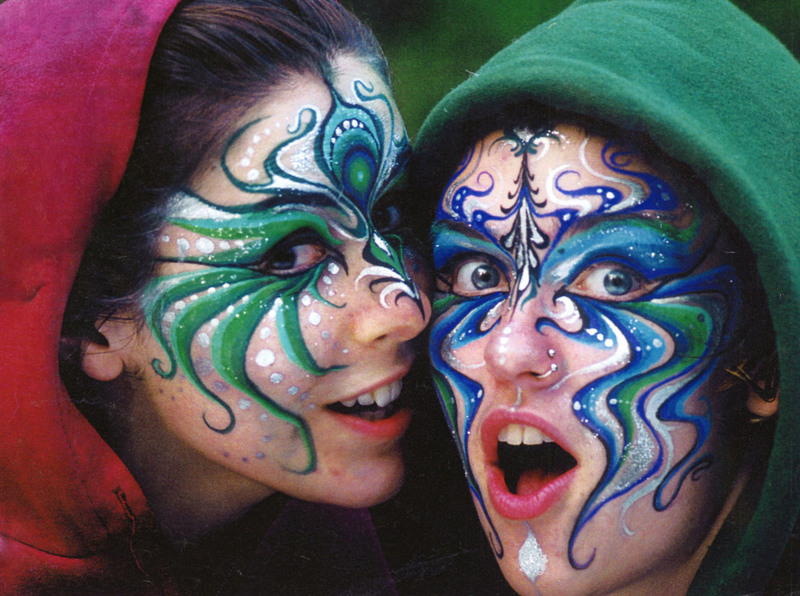 The Vancouver Aquarium successfully used a red and black single-eye design on their staff during their Moondance Masquerade event in 2004. 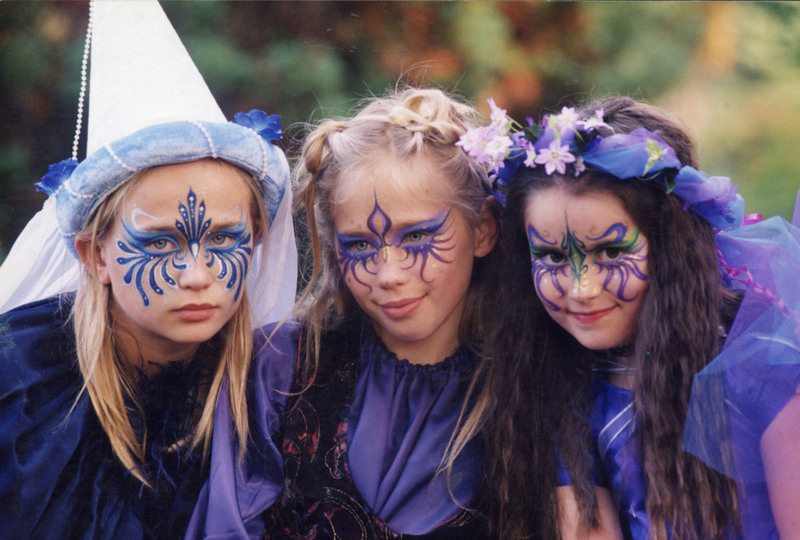 Face art takes 3 minutes for a simple child's cheek design and up to 30 minutes for an ornate, multi-coloured, full-face mask.